Note: This post has been corrected to reflect that Rocky Mountain swept both the OJ and J1 boys relays at Junior Nationals on Saturday. MIDWAY, Utah — Rocky Mountain topped the podium in both the J1 and OJ boys 3×3 k relays on Saturday at the 2012 Cross Country Junior Nationals at Soldier Hollow. The J1 team with Cal Deline, Christian Shanley and Max Scimgeour edged New England (Eli Hoenig, Sean Doherty and Paddy Caldwell) by 0.3 seconds in 16:43.5. The Midwest took third (+9.1) with Sam Elfstrom, Adam Martin and Jan Ketterson. 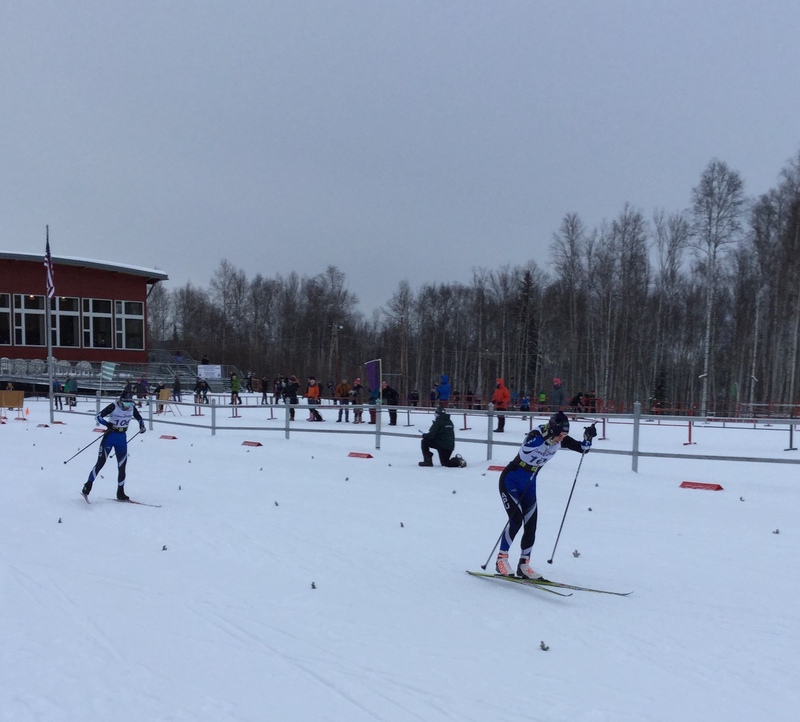 In the OJ boys relay, Rocky Mountain won by the same narrow margin, 0.3 seconds ahead of Alaska. The winners were Charlie Von Thaden, Mike Vigers and Tucker McCrerey, and Alaska was second with Jack Novak, Stefan Hajdukovich and Forrest Mahlen. Intermountain finished third (+0.7) with Kevin Bolger, Akeo Maifeld Carucci and Sawyer Kesselheim. MIDWAY, Utah — New England pulled out a photo-finish victory on Saturday at the 2012 Cross Country Junior Nationals at Soldier Hollow, winning the J2 girls 3×3 k relay by two-tenths of a second over Alaska in 20:13.4. Julia Kern anchored the New England team, which included Zoe Snow and Katharine Ogden. Alaska was led by Sarrisa Lammer, Taryn Hunt-Smith and Lydia Blanchet in second, and the Midwest was third with Racquel Wohlk, Vivian Hett and Alayna Sonnesyn (+31.4). In the boys J2 race, Alaska’s Tanner Ramey, Jacob Volz and Thomas O’Harra skied away from the pack to win in 17:57.3. Intermountain placed second (+2.5) with Sam Miller, Peter Neal and Karten Hokanson. New England was third (+17.1) with Ben Hegman, Jack Elder and Koby Gordon. MIDWAY, Utah — Silas Talbot (NE/Dartmouth) posted the fastest time at Soldier Hollow on Friday, winning the OJ boys 10 k classic individual start in 25:45.5. A second-year OJ, it was his first victory at Junior Nationals. Cole Morgan (IM/Sun Valley) won the J1 boys 10 k classic title in 26:02.6. Paddy Caldwell (NE/Stratton) finished second (+45.3) and Cal Deline (RM/SSC Vail) was third (+46.0). MIDWAY, Utah – Corey Stock (NE/Cambridge Sports Union) secured her third victory in as many races at the 2012 Cross Country Junior Nationals at Soldier Hollow on Friday, winning the J1 girls 5 k classic individual start in 14:07.4. Her New England teammate, Heather Mooney was second (+24.8) and Marion Woods (AK) notched her second straight podium in third (+29.9). In the OJ girls race, which was held in conjunction with the J1 girls, Rachel Hall (NE/Stratton Mountain School) was the fastest OJ over the 5 k distance. After placing third in Wednesday’s mass start, Hall won Friday’s race in 14:43.5. Her New England teammate, Mary Kate Cirelli (Green Mountain VS) was second (+6.2). Wednesday’s runner-up, Elizabeth Simak (MW/F.A.S.T.) was third (+9.5). MIDWAY, Utah — Corey Stock of New England/Cambridge Sports Union nabbed her eighth Junior Nationals victory on Wednesday, winning the J1 girls 10 k freestyle mass start at Soldier Hollow. Stock won in 29:20.6, just 6.3 seconds ahead of Storey Sloan (IM/Sun Valley) in second. Marion Woods (AK/Alaska Winter Stars) was third (+7.2). MIDWAY, Utah — New England’s Patrick Caldwell (Stratton) opened up a lead in the J1 boys 10 k freestyle mass start and held it for the last two laps to win his first title the 2012 Cross Country Junior Nationals at Soldier Hollow on Wednesday. In Monday’s sprint, Caldwell was second. He broke away from a pack of fellow New Englanders early and went on to win by 27.9 seconds. Eli Hoening (NE/Cambridge Sports Union) was second and Fabian Stocek of Holderness Nordic helped New England sweep the top five. 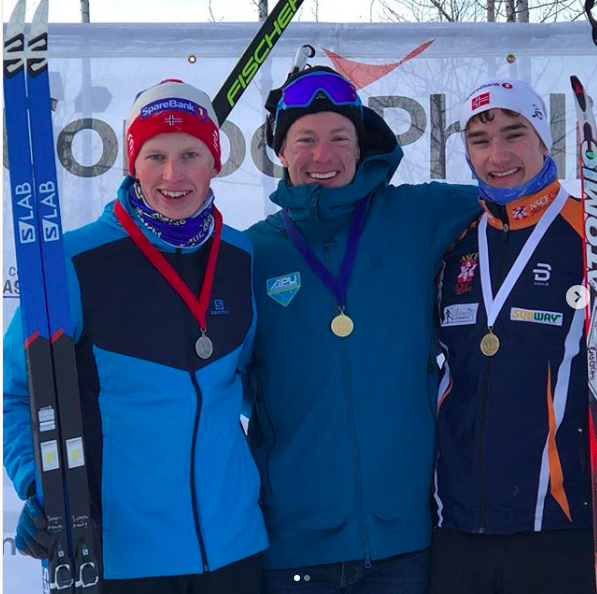 MIDWAY, Utah — Karsten Hokanson of the Wasatch Nordic Ski Academy (Intermountain) navigated a slick and hard-packed course to a J2 victory the 2012 Cross Country Junior Nationals on Wednesday, winning the 5 k freestyle mass start at Soldier Hollow. Hokanson avoided crashes to win in 12:23.7. Tanner Ramey (AK/Alaska Winter Stars) was second, 9.7 seconds back, and Peter Holmes (Tahoe XC) locked up third (+11.7). 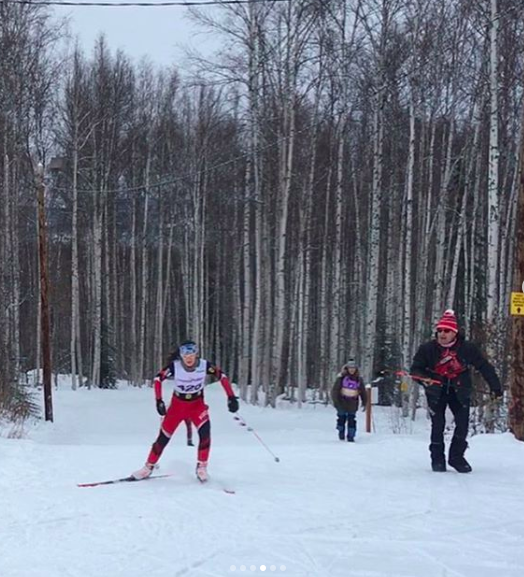 MIDWAY, Utah — New England topped the podium in the J2 classic sprint at the 2012 Cross Country Junior Nationals on Monday, with Julia Kern (Cambridge Sports Union) and Henry Harmeyer (Mansfield Nordic) winning their respective 1.3 k A-finals at Soldier Hollow. Kern topped NE teammate and Brooke Mooney (Stratton), who finished second. Alayna Sonnesyn (MW/Sisu SC) made the podium in third. 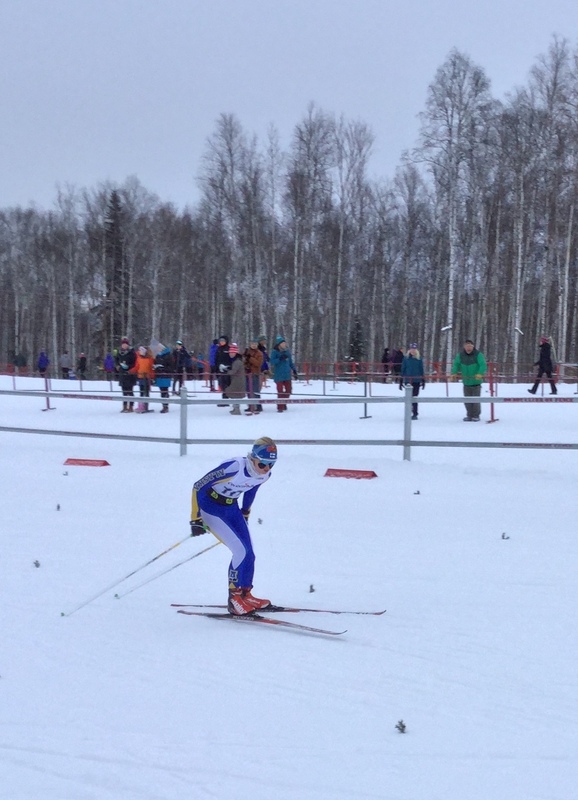 Harmeyer and his teammate at Mansfield Nordic, Ben Hegman, went 1-2 in the A-final. Cully Brown (RM/Durango) was third. MIDWAY, Utah — Eric Lustgarten of St. Lawrence University helped New England get the ball rolling on Monday, winning the OJ boys 1.3 k classic sprint A-final at the 2012 Cross Country Junior Nationals at Soldier Hollow. Lustgarten’s victory was one of five for New England, out of six total races. Paige Schember (F.A.S.T) picked up a win for the Midwest in the OJ girls A-final, beating the only non-Midwest skier in the final, Rachel Mason of Great Lakes/MTU. In the boys A-final, New England swept the podium with Austin Cobb (Stratton) in second and Nick Michaud (MWSC) in third. Jessie Diggins chasing after crashing at the start of the women's pursuit. The U.S.’s Jessie Diggins led the North American women in Sunday’s 10 k pursuit at the World Junior Championships in Otepaa, Estonia, finishing 12th. However, a crash in the first kilometer left her with a broken pole, putting her out of contention on a day on which she otherwise seemed to ski well enough to contend for the podium. Norwegians took the top two spots, with Heidi Weng and Martine Ek Hagen snaring gold and bronze. Germany’s Helene Jacob was third. 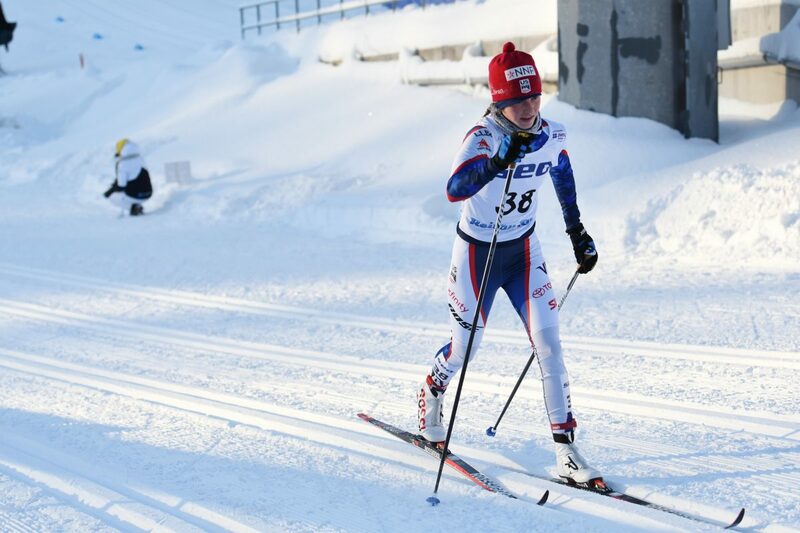 In addition to Diggins, American Joanne Reid had a strong race in 24th, while Annika Hicks led the Canadians. Canadian Jesse Cockney led the North American men and women with sixth place in the U-23 World Championships classic sprint on Saturday. His teammate Len Valjas was a favorite in the event, but was eliminated in the quarterfinals after choosing a slow, powdery lane on a blustery, snowy day in Otepaa, Estonia. 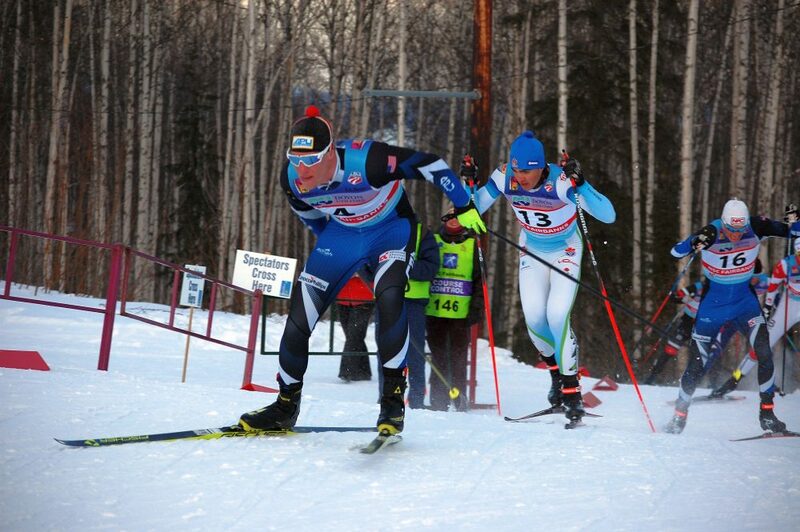 Russian Alexander Panzhinskiy won the men’s race, while Finland’s Kerttu Niskanen took women’s gold. Timo Andre Bakken and Magnus Moholt rounded out the men’s podium, while Norway’s Britt Ingunn Nydal and Sweden’s Jennie Oeberg took silver and bronze for women. Canada’s Alysson Marshall was the only North American to advance past the quarters—she was last in her semifinal to finish 12th on the day. Americans Ida Sargent, Jennie Bender, and Sadie Bjornsen did not escape their quarterfinal heats. Full, exciting reports to come on both races. Women’s qualifying results. Women’s final results. Men’s qualifying results. Men’s final results. With little recovery, some big climbs, and a layer of new snow, the 3.75k course here in Hinterzarten is a tough one. By the time the U-23 men here had been around it four times, they got to know it pretty well. Today’s 15k demanded not just fitness, but restraint and smart pacing, and the winner here, Vladislav Skobelev (RUS), clearly had that mastered. Back in seventh place after one lap, Skobelev worked his way up through the field over the next three circuits to win by 20 seconds over teammate Stanislav Perliak. Gennadly Matviyenko (KAZ) was another second behind in third. Noah Hoffman led the way for the Americans in 20th. He skied a restrained race, something he’s been practicing, he said. “It was better than what I’ve been doing recently-still not great yet,” he said. Kevin Sandau was the top Canadian finisher, in 13th. Full report, photos, and video to come. After a day of respite, nature hit back at the U-23 Championships this morning with a four-inch dose of snow, then with the same wet fog that already plagued two of three races here. The fluffy snow that fell made for some tricky skiing, but it didn’t seem to upset the hierarchy here in Hinterzarten, and it was a Finn, Kerttu Niskanen, who rose to the top. She was followed by two Russians, Alevtina Tanygina and Svetlana Nikolaeva. Brittany Webster of Canada had a strong day, skiing to a top-ten finish. FasterSkier caught her for a post-race interview. According to Matt Whitcomb, one of the American coaches here, the four American women struggled with pacing. A number of them had strong starts, but he said that it looked like all of them faded out of the top-20. Results, report, and photos to follow. When Simi Hamilton lost a pole and was bounced from his quarterfinal heat, it was up to Ida Sargent to salvage the American hopes in the U-23 skate sprint. She didn’t disappoint. After qualifying in fourth, Sargent advanced easily through the quarters and semis, faltering only in the middle of the A-final. After some bad luck and tactical errors by the Americans over the last two days, you could almost hear the sigh of relief from her coaches and teammates. Sargent was blazing off the line all day, and the final was no different-she was in second going into the first corner. But as she headed up the final big hill, Sargent was running out of gas. Finnish Biathlete Mari Laukkanen held onto her top qualification position for the win, and she did not trail in either of her last two heats. Sargent actually came closest to beating her, in the pair’s semifinal. Denise Herrmann (GER) and Kathrine Rolsted Harsem (NOR) were second and third, respectively. None of the three other American women made it out of the quarters. Both Rosie Brennan and Sadie Bjornsen were third in their heats, but neither advanced as lucky losers. And Becca Rorabaugh found herself in the snow after getting tangled up on the first climb. Hamilton’s day ended just as quickly. After a mishap in Canada, he said that he’d secured his pole grips on with “about a pound” of glue. It still wasn’t enough. Leading his heat through the initial fast downhill, a Norwegian skied over one of Hamilton’s baskets as he came out of a tuck. The grip came off, and the whole pack went by. Hamilton was left screaming at the fans on the right side of the trail for a new pole, and he finally grabbed one from an unsuspecting Russian woman who was looking the other way. But by then it was far too late. Ole-marius Bach (NOR) held off Martin Jaeger (SUI), who looked strong all day and appeared to have the race in the bag until the final stretch, when Bach passed him. Andrey Parfenov (RUS) was third. Peter Kling was the only other American in the heats, and he failed to advance. Canada’s Len Valjas made the B-final. Full reports to follow shortly. One misstep and one mistake, and it was all over for the American women here in Hinterzarten. 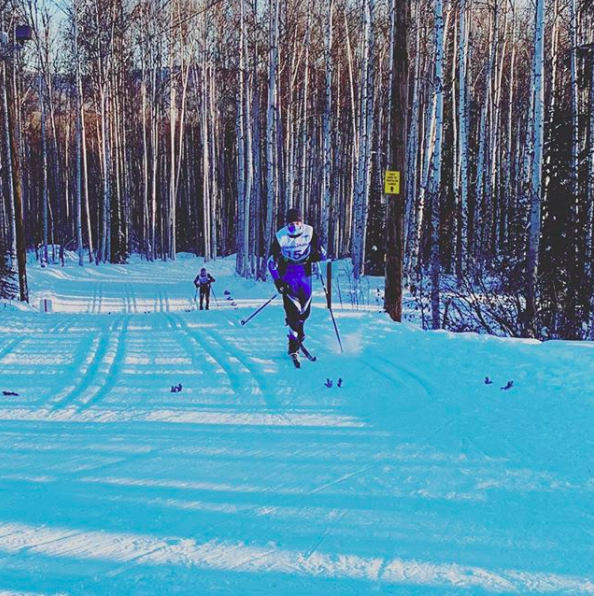 50 meters into her quarterfinal, Jessie Diggins found herself on the ground, seeing stars. Sophie Caldwell lasted longer, and was in contention to advance, but lost crucial ground coming into the final turn that she could not make up in the finishing sprint. Sprinting never leaves a lot of margin for error, but the races here were especially tight. Many stayed together for their duration, separating only in the last few hundred meters. “There were a lot of tactics involved today,” Caldwell said. Sweden’s Hanna Brodin took the final, avenging last year’s loss to today’s second place finisher, Invild Flugstad Oesberg of Norway. Kari Oeyre (NOR) was third. Different race, different Northug, same result. With a finishing kick eerily similar to the one his brother has made famous, Norway’s Tomas Northug won the championship in the World Junior Sprint in dominating fashion today. The resemblance between the two brothers is striking-Tomas has the same blazing speed and Casco headwear made famous by Petter. Their attitudes are similar, too. When asked if he had stepped out of his brother’s shadow today, Tomas said no. “My brother’s shadow was back of me,” Northug told FasterSkier after the race, clarifying that he would have dropped his brother had he been here. Paal Golberg (NOR) and Federico Pellegrino (ITA) were second and third, but the two could touch Northug’s speed. The U.S.’s Erik Bjornsen was the only North American male to qualify for the heats. He was sitting in third in his quarterfinal coming off the final hill, but was passed by two others in the last corner and ended in fifth. The two skiers ahead of him advanced as lucky losers. More coverage to follow, including video and photos.